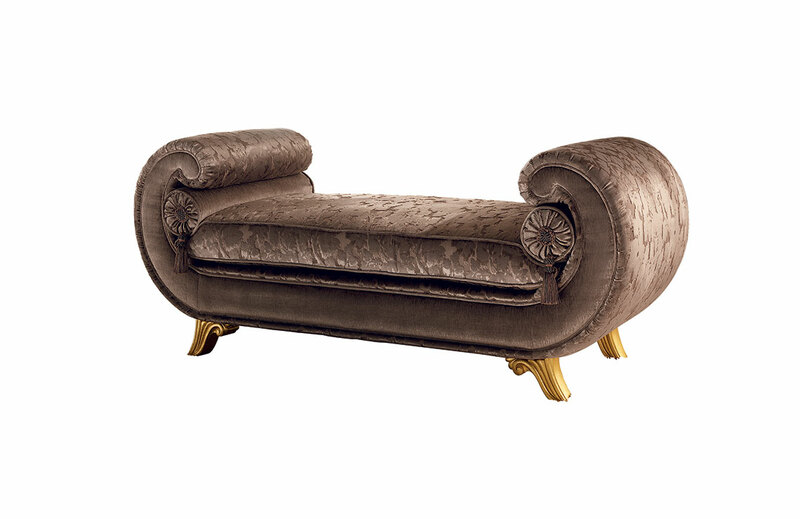 The charm of the “Venere” chaise longue lies in the composure of its forms that curve into a soft embrace. A compact and finely designed structure that can make every corner of your room a place to relax, and why not, add a touch of vanity also to most assembled furnishings. The finishes lend themselves to multiple customisations, all of which emanate timeless luxury and beauty.